Few things are more refreshing than a nice, hot shower in the morning. And for homeowners footing the energy bill, that shower is even more enjoyable if its associated costs are low. If you're a homeowner in the market for a new water heater, an energy-efficient model can help reduce your heating bills. Check out the following information so you can find the perfect water heater to make your morning shower all the more refreshing. Any search for energy-efficient appliances should begin at EnergyStar.gov. The Energy Star program reviews and rates new offerings across several product lines to determine each option's energy efficiency. Only those earning the highest marks for energy efficiency earn the title of Energy Star approved. 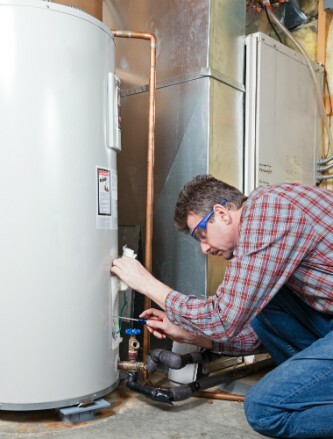 According to EnergyStar.gov, water heaters are the second-largest energy users in the home. Fortunately, you can find savings in models of all different fuel types. If your home already has a gas tank water heater and you're happy with its performance, just pay a little more to upgrade to an Energy Star approved gas tank water heater. This can reduce your energy bill by about seven percent each year. Whole-home tankless gas water heaters are another option if you want to save even more money while continuing with gas water heater service. Tankless heaters can be a helpful alternative if your home commonly runs out of hot water or if the space allocated for the water heater is limited. Because tankless water heaters heat water only when needed, they also allow for bigger savings — as much as 30 percent annually and $1,800 over the appliance's lifetime when compared to traditional, gas tank water heaters. If you want even larger energy savings from your water heater usage, consider stepping away from gas water heater options altogether and investing in an Energy Star electric water heater with a heat pump. In addition to saving as much as 50 percent on the home's water heater bills, applicable electric water heaters are also eligible for a $300 tax credit. If space is available to accommodate a condensation drain, an electric water heater may be a worthwhile, cost-saving option. Finally, if you want to dramatically reduce or even eliminate your energy costs related to water heating, it may be possible to outfit your home with a solar-powered water-heating option. This might require you to do some maintenance on your own (along with annually scheduled checkups), but investing in a solar water-heating option can make your home entirely energy-independent. Granted, regular sunshine must fall on your home's roof for this option to be viable, and the installation of an auxiliary water heater is needed in order to compensate for cloudy days. Still, solar panels present a unique opportunity for any homeowner! When it comes to an energy-efficient water heater for your home, you have serious options to consider. Start by researching Energy Star models and then pick the option that best suits the home's needs.